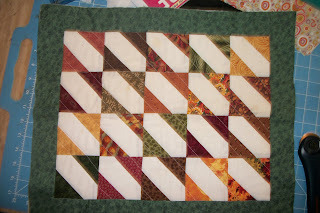 Mini Quilts: What Are You Working On ? In an effort to weed down my UFO pile I have pulled this little mini quilt to work on today. This little cutie has been sitting around for about 2 years waiting on me to bind it. 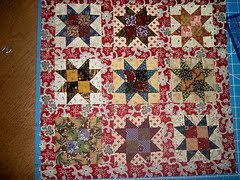 I love this quilt because of the fall fabric's that it has in it. 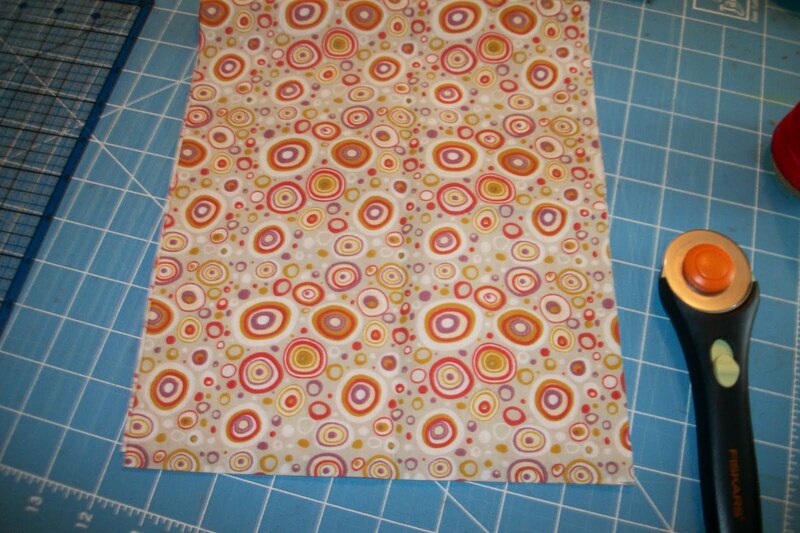 The picture below show's the fabric that I chose for the bunding. In person it is a bit darker then the photo shows. 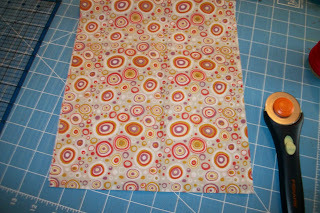 The gray's and oranges go so well with the blocks in the quilt, I picked this fabric ( fat quater) up for .75 at Marden's a few months ago. If I get really lucky I will be able to get this done today and still have time to work on my Henrietta Whisker's blocks as there is not much to be done on it. I have not decided what I will be working on for tomorrow. 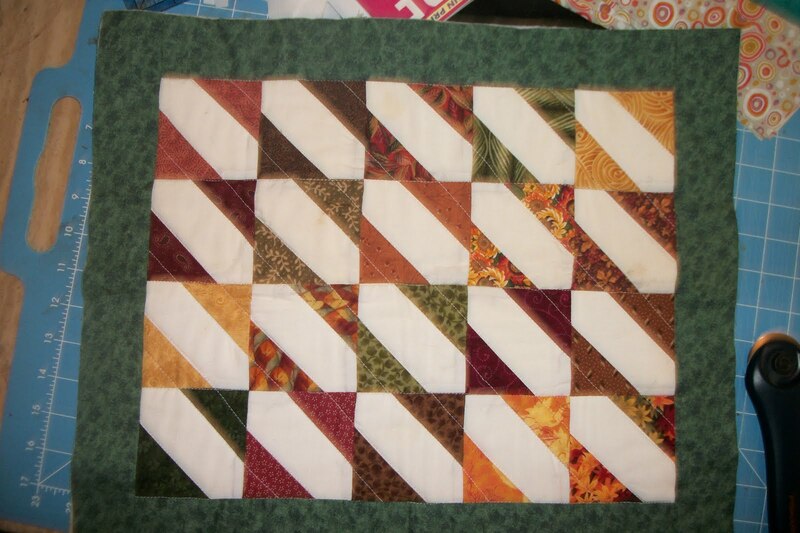 I think that I would like to get some work done on my Jean Quilt as I think that it has been neglected for to long, however I just stumbled upon the cutest little BOM that I reeeeaaallly wanna start. It is called Birdie Stitches and can be found here , I found it through the flickr group located here. I really need to be good though and get some of these UFO's out of the way and free up some space so that it is easier for me to work in my little sewing space.